As per census Dhalai has a population of 378,230 in 2011 out of which 194,544 are male and 183,686 are female. 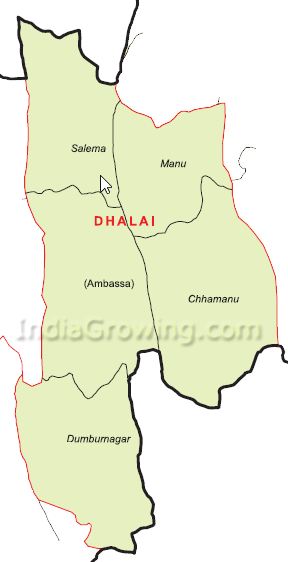 Expected population of Dhalai in 2019 is between 419,836 and 491,699. Literate people are 276,217 out of 151,643 are male and 124,574 are female. People living in Dhalai depend on multiple skills, total workers are 155,831 out of which men are 105,657 and women are 50,174. Total 36,725 Cultivators are depended on agriculture farming out of 30,535 are cultivated by men and 6,190 are women. 20,934 people works in agricultural land as labor, men are 16,202 and 4,732 are women.